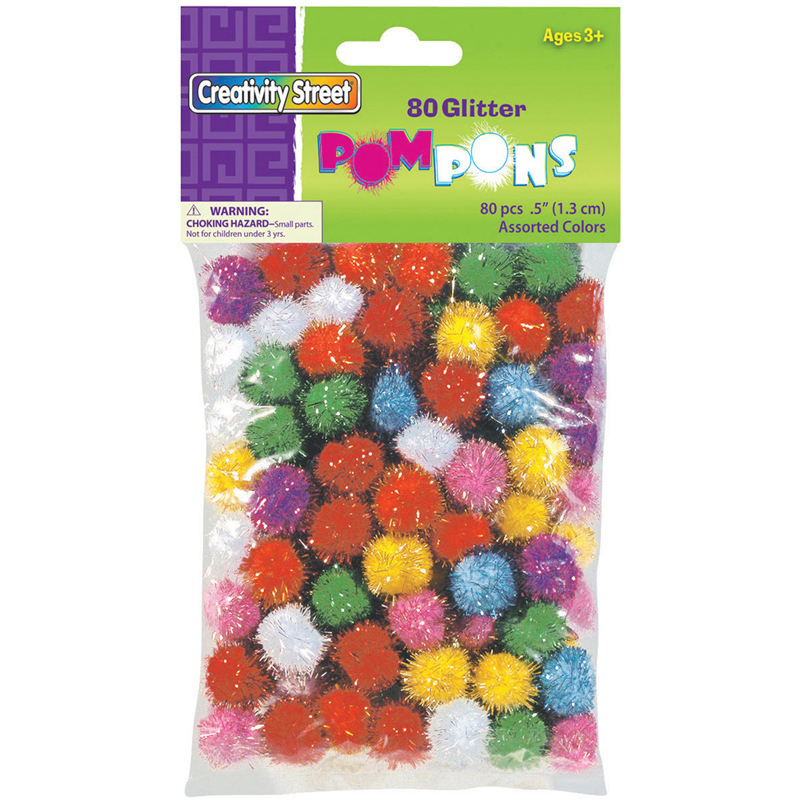 These 1" pom pons feature multiple bright colors swirled together on each pom for a fun color splash effect. Use with several types of glues to adhere to other poms, or to paper collages, mixed media projects, jewelry, backpacks, key fobs, and more. The large count package is great for large groups, parties, and classrooms. 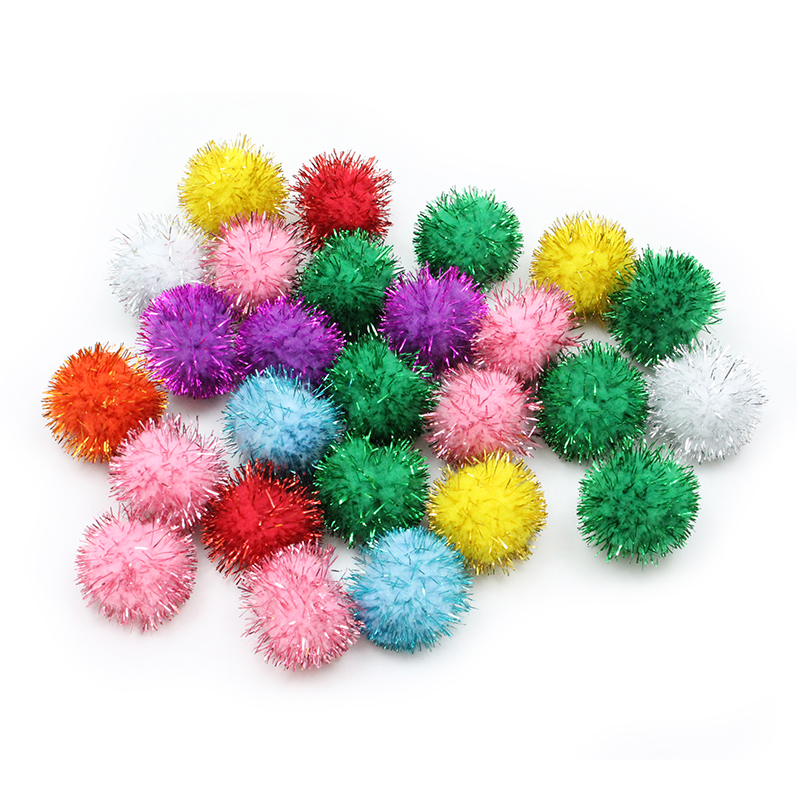 Each pack includes 100 pom pons. Sold as 6 packs for a total of 600 pom pons. 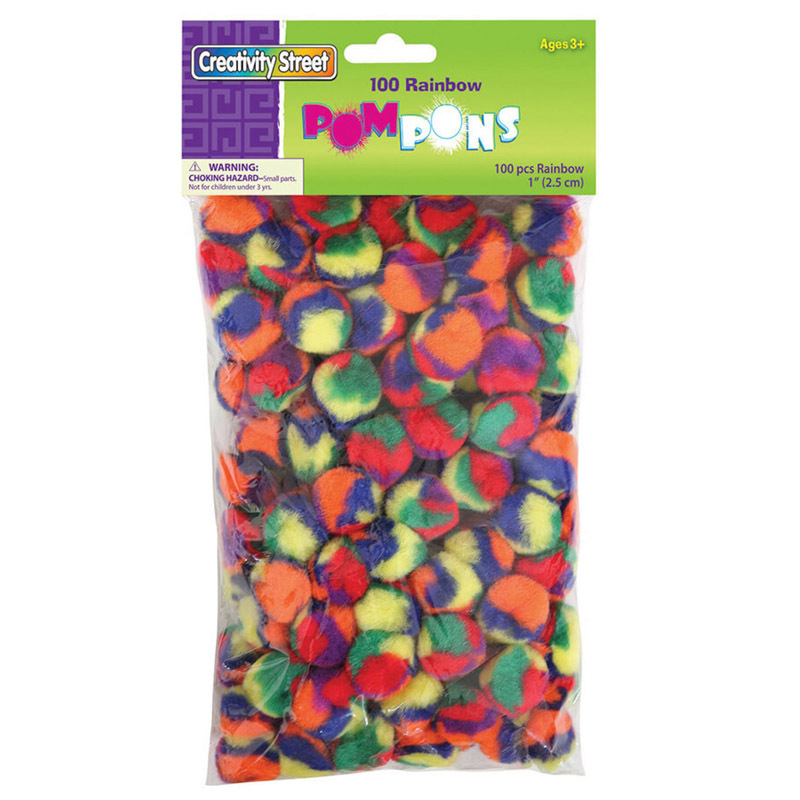 The (6 Pk) Rainbow Poms 1in 100 Per Pk can be found in our Craft Puffs product category within the Arts & Crafts.